Lately we’ve noticed an interesting trend in transactional activity in Africa. 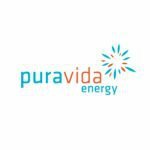 Energy giant Woodside Petroleum has been taking up acreage positions around Africa which closely corresponds to Australian junior Pura Vida Energy (ASX: PVD) . 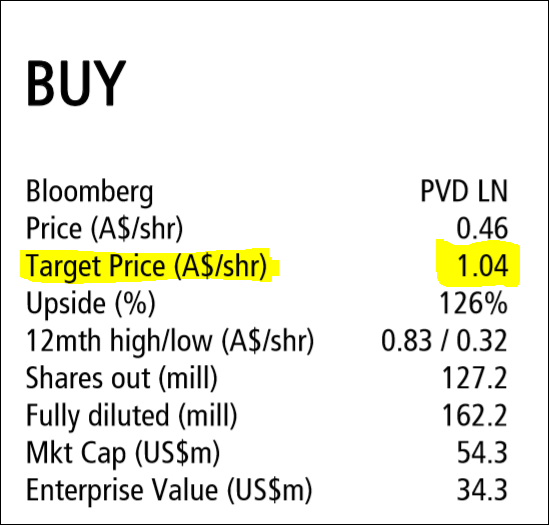 The similarity in Woodside’s ‘Atlantic Margin Strategy’ and the acreage portfolio held by PVD is striking. 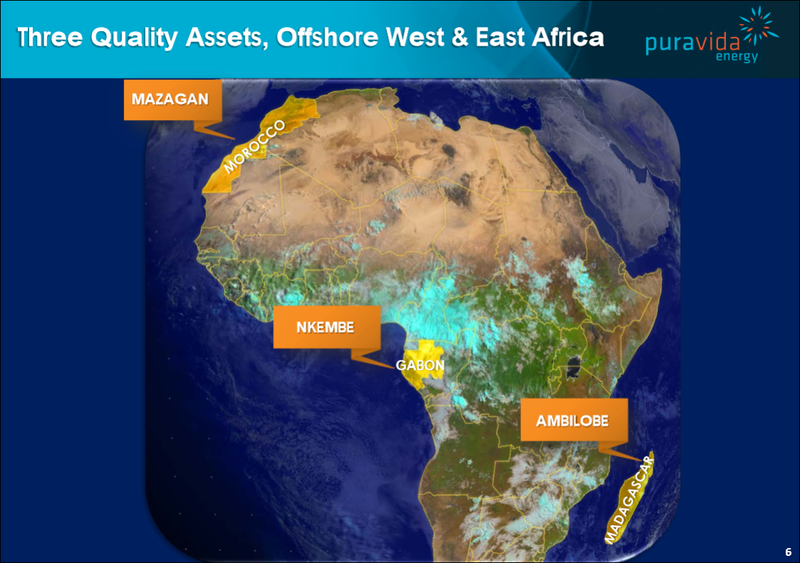 Woodside have recently acquired acreage in offshore Morocco, Gabon, and East Africa – all areas where PVD holds an interest, and has done for quite some time. PVD is more advanced in their exploration efforts than Woodside, and when you compare PVD’s tiny $60M market cap to the goliath Woodside’s $30BN, it is easy to see which company is more leveraged to oil exploration success. These latest developments strengthen our view that PVD is emerging as a serious African oil explorer. As we await news on a farm-in partner on PVD’s Nkembe offshore block in Gabon, a few weeks ago Italian oil major Eni announced a pre-salt discovery to the north of PVD’s block. Eni plan to continue drilling to find out the size of their discovery – this follows on from other discoveries offshore Gabon, which we will go into detail later. Another two exploration wells are being drilled right now to the south of PVD’s Gabon block by ExxonMobil and Shell – we are following these drills closely – any discoveries may be a catalyst for PVD and should improve the value of their acreage. 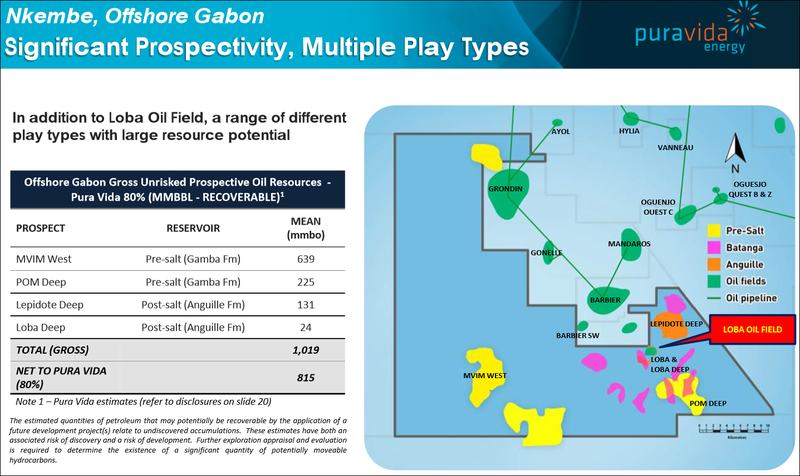 PVD has also announced a significant resource upgrade to their Gabon block – with the net mean prospective resource (unrisked) now 1,344 mmbbo. This new prospective resource (unrisked) was reached by PVD’s technical team who scoured existing seismic data and found a fistful of stacked prospects right across Nkembe. 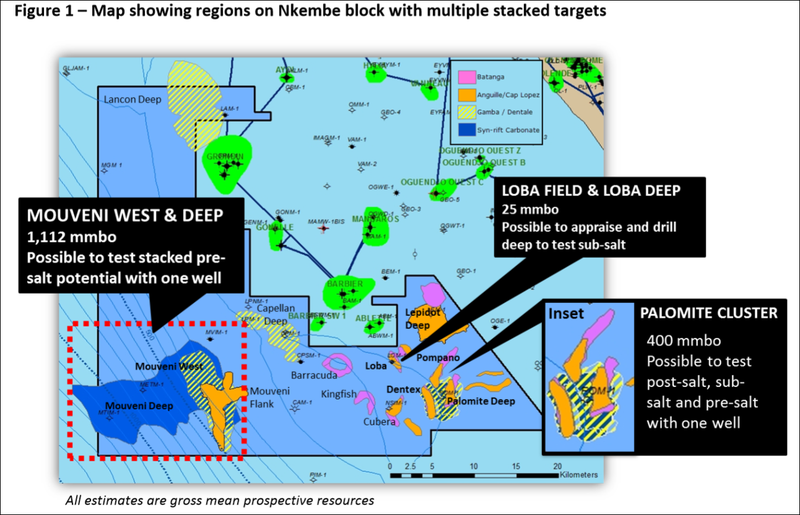 PVD’s Nkembe Block has gone from highly promising to highly prospective and PVD is now going to use this new data to attract top tier farm-in partners and then, fingers crossed, start drilling into some of Africa’s hottest offshore acreage. So the pre-salt potential of Gabon continues to build, and PVD’s own target resources have increased – this is all positive news for PVD during farm-in partner negotiations. A successful farm out in Gabon would likely include drilling to test multiple targets plus covering of PVD’s past costs – which would be nice... 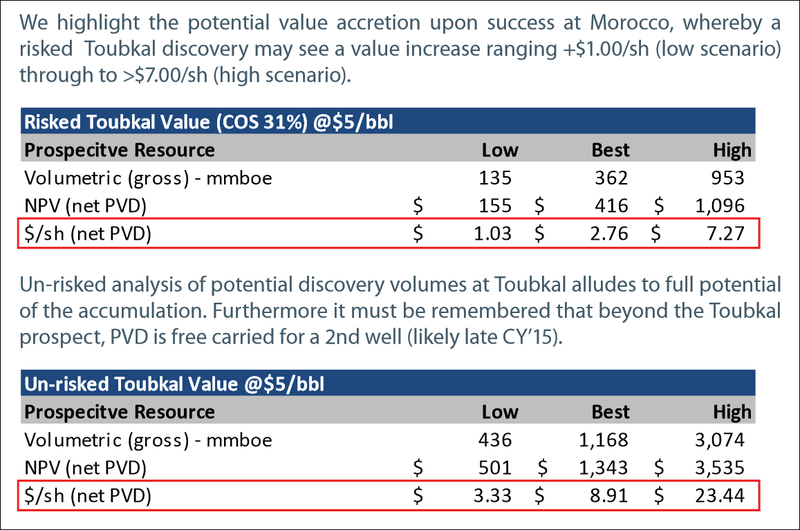 Turning to Morocco, PVD are on the home stretch to drilling billion barrel targets – just five months away now. The drill ship is now en route to Morroco – you can follow its progress on the live map below. Soon we will witness the investment fervour of a huge drilling event – PVD are part of a JV holding a block of potentially 7BN barrels of oil (unrisked targets) – net to PVD is 1.6BN barrels. The first well will target a gross mean resource potential of 1.5BN barrels, with 23% net to PVD. That will be the first spudding of a two well, US$215M farm in deal PVD scored with Freeport McMoRan – two bites of a billion barrel oil cherry for PVD. PVD are free carried for both of these wells... As long term PVD investors ourselves, we are set now and are anticipating a pre-spud ramp up of share price as late investors pile in at likely premiums to current levels. It’s shaping up to be an active summer. Not only are we looking forward to this drilling, we are expecting that news of a Gabon farm out to land any day now – surely before the end of the year... PVD had over $20M in the bank account with no debt at the end of the last quarter and are fully funded for upcoming work commitments all the way through 2015 – the chances of further dilution for us long term PVD investors in the near term seems unlikely. Throw in the upcoming seismic survey at PVD’s Madagascan acreage and a flurry of nearby drilling activity over Africa, and we are set for some active upcoming months. PVD is an African explorer with acreage in three highly touted offshore African oil regions: Morocco, Gabon and Madagascar. As PVD investors ourselves, we have been covering the PVD story for a while now, ever since our initial article: “Why Has This Stock Got Analysts Predicting Four Thousand Percent Gains?” When PVD added Madagascar to their portfolio, we updated readers: “Broker predicts 440% rise for Cashed up Junior: Morocco, Gabon and now Madagascar. Is it a brave prediction?” And in April 2014, we published PVD Offshore African Oil Steal ... highlighting PVD’s severe undervaluation. 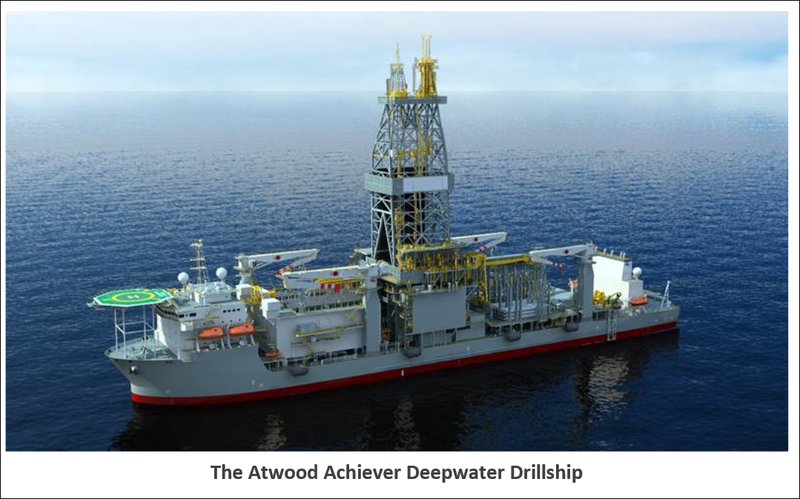 Now we have edged closer to PVD’s first high impact drilling event in Morocco – PVD’s ultra-deepwater drill ship the Atwood Achiever is now en route to Morocco , you can track its progress here: [sd_shipping zoom=’2′ mmsi=’538004649′ imo=’538004649′] In addition to the major drilling event in Morocco, PVD is taking giant strides at its other African oil projects in Gabon and Madagascar – this article will run you through all the latest news. Since the Next Oil Rush article on Real Energy (ASX:RLE), International Feeding Frenzy in Australia’s Hottest Shale Gas Region Puts Undervalued Junior on M&A Radar , RLE has risen as high as 70%. Why is Woodside following PVD? PVD holds a 23% interest in the Mazagan deepwater block offshore Morocco (this is where PVD expects to spud its first well in January 2015... less than 5 months from now!). 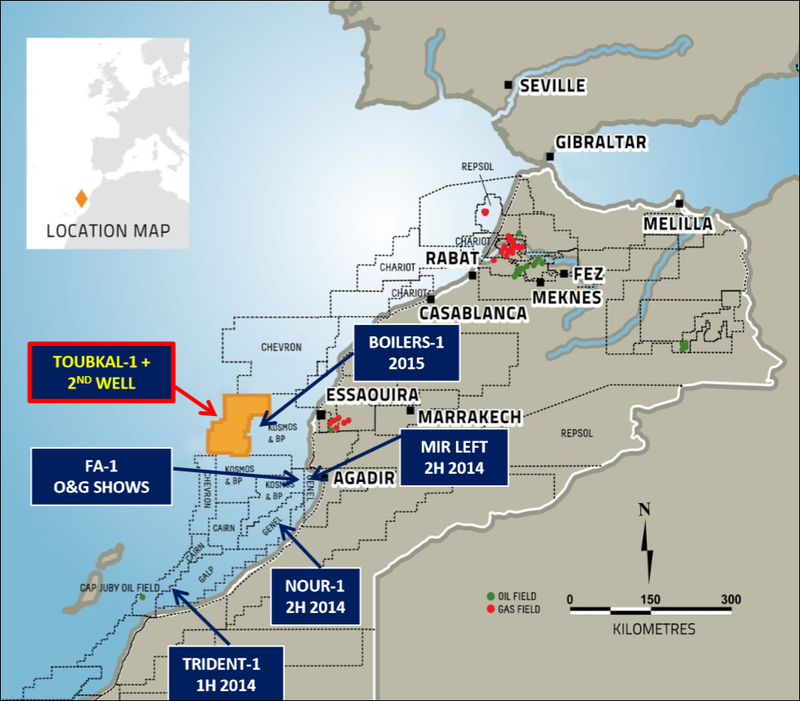 Earlier this year, Woodside acquired a 25% interest in the Rabat Deep block, offshore Morocco. 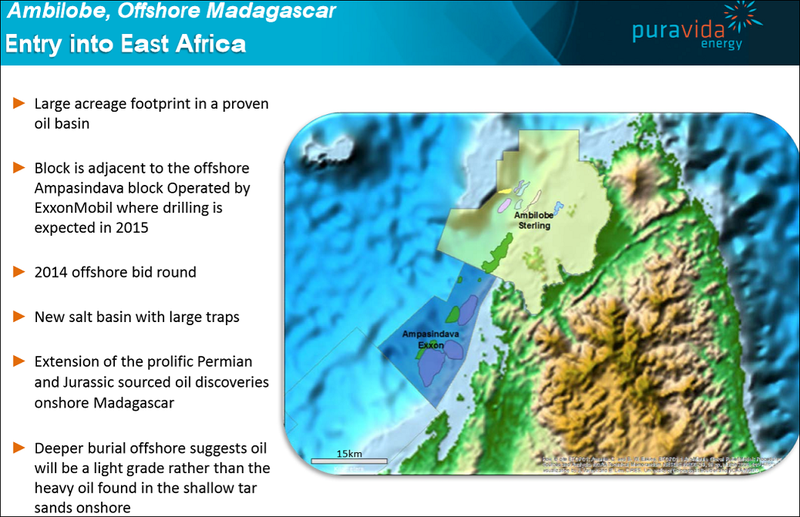 In early 2013, PVD was awarded an 80% interest in the Nkembe block offshore Gabon. 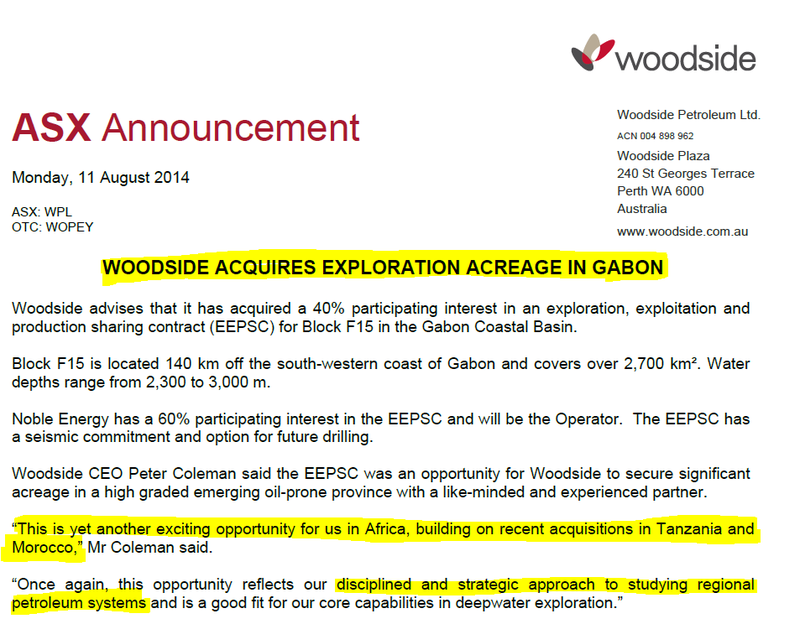 This month Woodside announced the acquisition of a 40% interest in block F15 offshore Gabon. We like the African exploration strategy being pursued by Woodside and PVD, but we see PVD as the most highly leveraged African explorer in the Australian market, with a market capitalisation of around $60 million – versus Woodside’s $30 Billion. 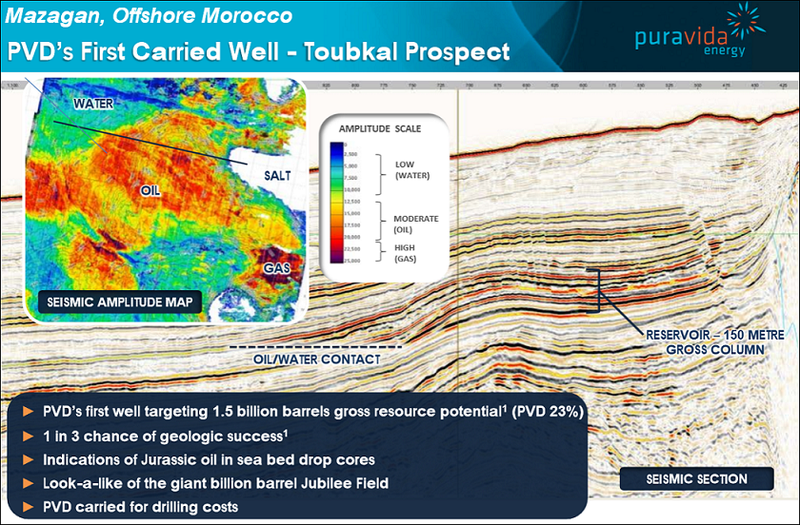 PVD will be drilling deepwater wells of Morocco in January and September 2015 and their exploration efforts are well ahead of Woodside’s. With a US$215m fully funded offshore drilling campaign, this little junior is quite an overacheiver – way ahead of the $30BN Woodside in terms of Moroccan exploration. 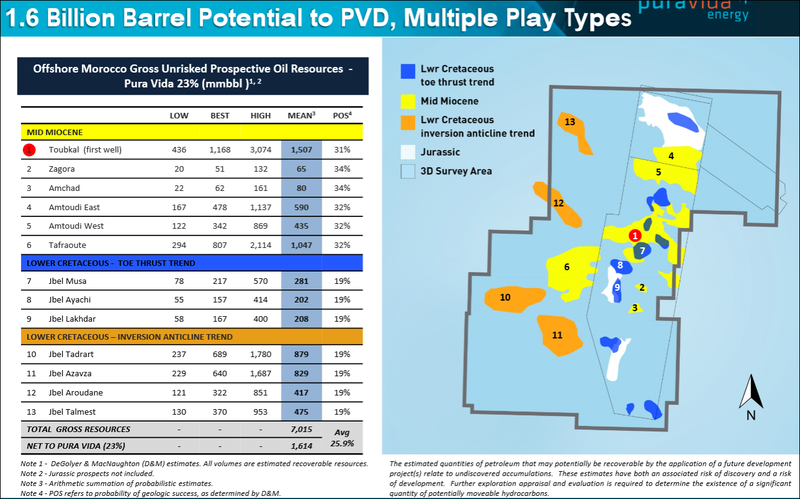 The comparison with energy giant Woodside may seem a little far-fatched, but PVD is a serious explorer with a fully funded deep water drilling campaing targeting over a billion barrels next year. Whilst PVD remain a high risk exploration company, their potential is huge and the prospects for success are real, with $US30 billion US resources giant Freeport McMoRan partnering with them in the Moroccan drilling campaign. 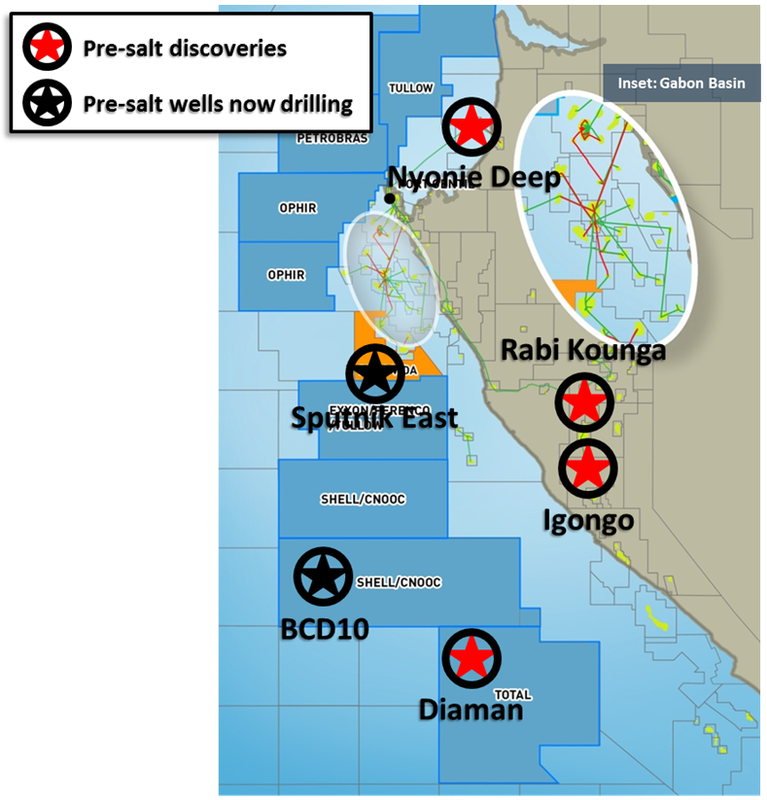 The discovery in July this year by Tullow of a pre-salt field onshore to the east of PVD’s Nkembe block with Igongo-1 well encountering 90 meters of net oil and gas pay. This string of discoveries couldn’t have come at a better time for PVD as they are currently seeking a farm-in partner to fund drilling on the Nkembe block. Gabon is running hot and we have confidence based on PVD’s track record that they will achieve a good outcome. At the time of writing, two other exploration wells are currently being drilled to the south of the Nkembe block are being drilled by ExxonMobil and Shell respectively. 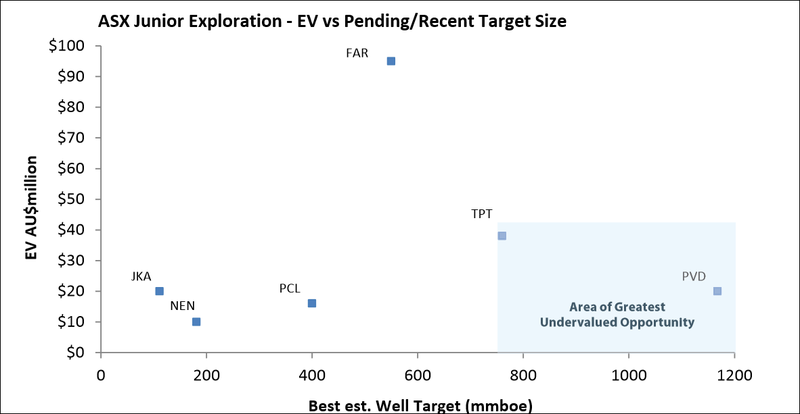 In our view, a discovery from either of these wells will have a positive impact for PVD both in terms of its share price and the likely farmout terms/value management will be able to achieve. 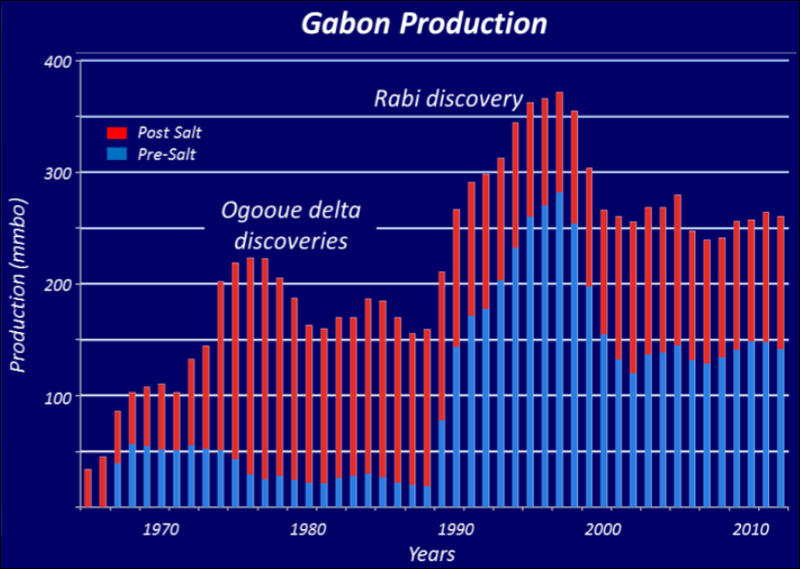 Gabon is looking like going the way of other significant pre-salt basis such as Brazil and Angola. The recent discoveries provide a strong endorsement of PVD’s strategy to position itself in basins where there is play-opening drilling activity. The strength of the industry interest in Gabon is evident from the recent deep water bid round which saw over US$1 billion in investment made by the industry across 7 new licences. The Gabonaise government also announced signature bonuses of up to US$45 million per block. PVD has positioned itself in the heart of the oil and gas activity in Gabon and all signs point to another repeat of their success farming out Morocco which saw them secure a US$230 million deal with Freeport McMoRan. After a round of cost cutting, PVD had $20.4M cash at bank at the end of June 2014. In addition, PVD has US$215 million in funding on its Moroccan project via the farm-out deal it has done with Freeport McMoRan. This will fund the two deep water exploration wells next year. This large sum of cash means that PVD is fully funded for the next 12 months of work – including the upcoming 3D seismic program in Madagascar in late 2014 which was part of the deal to allow PVD to farm into 50% of the Madagascan asset from Sterling Energy plc (AIM:SEY). As PVD investors, this high level of funds is a great positive, as it means that PVD is unlikely to raise any more capital anytime soon – so no further dilution for now. Plus, PVD is now debt free . The company recently paid $2.4M AUD in full and final settlement of the debt facility it negotiated to partially fund the acquisition of the Nkembe block offshore Gabon. Cove Energy plc: Cove’s market cap has increased from below 50 million GBP to in excess of 1 billion GBP in only two years. Cove put itself up for sale following their success, which culminated in a $2BN AUD takeover by PTTEP, who trumped Shell in a bidding war. Kosmos Energy: Founded in 2003, Kosmos focussed on underexplored regions of the world, and in 2007, discovered the giant Jubilee Field offshore Ghana. In 2011 they went public, raised $500M on the NYSE and are now capped at over $4BN USD. Hardman Resources: In 2000, Hardman had a market cap of just $27M – fast forward to 2006 and they received a takeover offer from Tullow Oil for $1.BN after finding commercial quantities of oil in offshore Mauritania. Tullow Oil: Tullow listed in 1987 with just one exploration licence in Senegal – in 2007 it recorded its largest ever discovery, the Jubilee field offshore Ghana – they went on to make 17 discoveries from 22 wells drilled in 2008 – now they are worth close to $14BN. What are the analysts saying about PVD? Note that this table assumes oil in the ground is worth $5/barrel, the AUD:USD exchange rate remains 1:0.92 for the long term, and PVD have $21.5M cash and zero debt. Also note that the above table is based on one Analyst’s calculations and opinions, his undervaluation of PVD may not be correct. PVD’s Mazagan Permit is in an area of Morocco said to be geographically similar to the Gulf of Mexico where billions of barrels of oil are sucked up from the seabed. 815M barrels to 1.344BN barrels. That’s quite a jump – over 60% – and PVD has just made it out at its Nkembe block in Gabon (those values are for a net mean prospective resources, unrisked). Major oil companies like ExxonMobil, Total and Eni are working to tap into Gabon’s pre-salt potential with 10 wells planned for spudding soon. PVD’s Nkembe project is fast heading towards being one of them. PVD’s technical team reprocessed all of the existing seismic data that had been accumulated at Nkembe and identified a new play in the pre-salt layer contained in an area called the Syn-rift interval. PVD says this new play could have carbonate Coquinas reservoirs – “rocks containing oil” in layman’s terms. 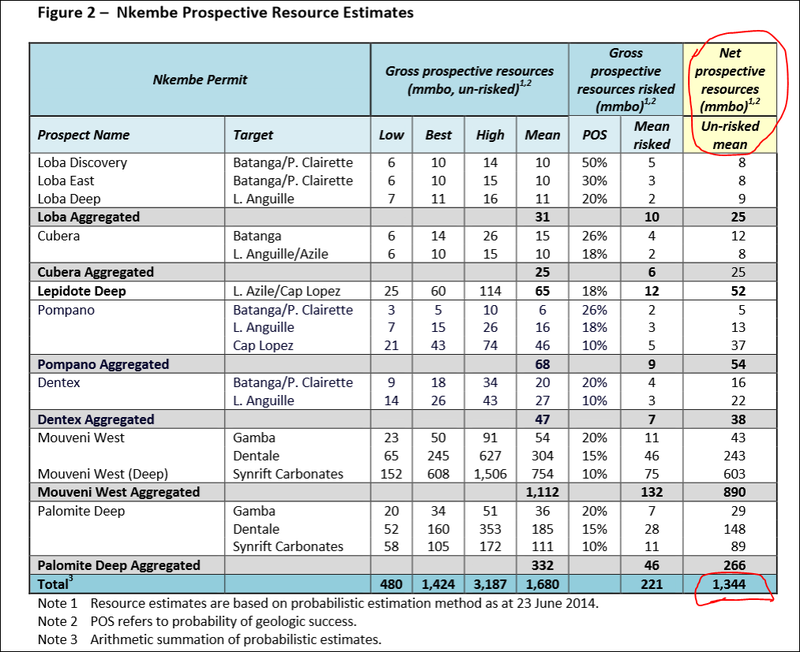 The inclusion of these newly identified prospects increases the total gross mean prospective resources (unrisked) on the block to 1,680mmbo with the estimated net prospective resources (unrisked mean) increasing from 815mmbo to 1,344mmbo. But it doesn’t end there... PVD’s technical work has also identified several areas which contain multiple stacked prospects in the Moveni region in the south-western part of the block. Think of an apartment building with each floor a new potential oil deposit – PVD can potentially drill from the top floor down and hit every one of the layers with just one vertical well... Intersecting multiple prospects are cheaper to drill and having a stack of them increases the overall chance of making a commercial discovery. Plus, in the event of success, one big deposit can be rolled in with a number of smaller ones. 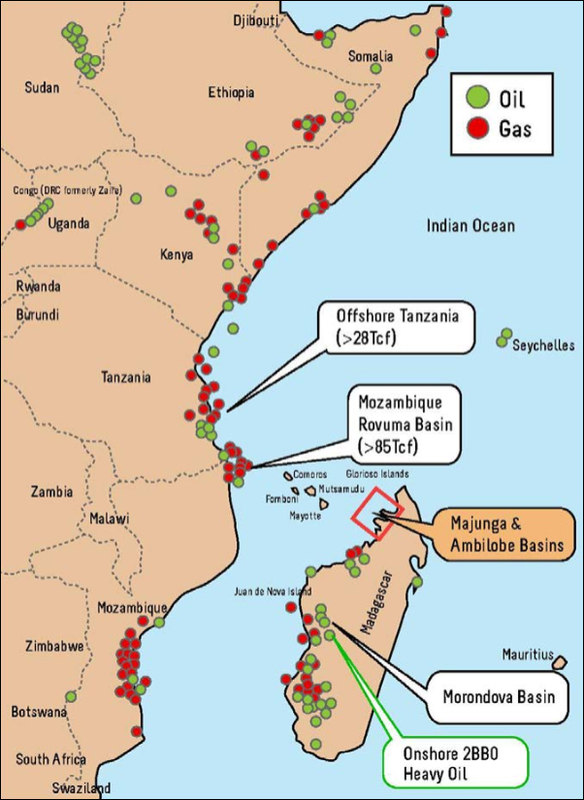 PVD says the Moveni region’s stacked deposits signify that a single well at this location has the potential to test a combined net prospective resource of 890mmbo. Similar stacked prospects exist in the shallow water area at the Palomite cluster. What attracted PVD to farm-in with Sterling Energy was the exploration potential revealed by the initial surveys, the position of the block, and the activity by the majors in the area. Sterling Energy holds the other 50% stake in the project. Part of the deal is that PVD will fund a new round of 3D seismic surveys over the block to the value of US$15M and we’re expecting that to begin before the end of the year. Remember PVD have over $20M cash at bank right now – so there is no need for PVD to raise capital to fund this. So as you can now appreciate PVD is not a one-trick-pony. It’s got three offshore oil projects on the boil – Madagascar, Gabon and Morocco – each of them surrounded by projects being spearheaded by some of the world’s biggest oil companies. PVD is pressing ahead with major development work in each of its projects and the more we learn about each of them the better – and more potentially lucrative – they become. Three oil projects, three countries, one company that’s moving fast toward some big drill targets. As PVD investors we are set up now for the likely pre spudding fervour – it’s all ahead of us and we will be watching it unfold early next year, armed with the knowledge that we got in early. In Morocco , there’s just six months to go before the expected start of spudding for one of PVD’s free carried deep water wells. We expect a steady stream of announcements as we get closer to the start line. Don’t forget PVD has also secured funding for a second free carried well in 2H 2015. In Gabon , PVD has set itself up nicely with a new resource evaluation that has almost doubled the potential for the black stuff in a pre-salt layer. The crucial next step is to get a farm-in partner who can help them drill it. With all the current drill activity, discoveries and attention on Gabon, we expect to hear something on that very soon... In Madagascar , PVD is funding a new round of 3D seismic surveys over the Ambilobe block to the value of US$15M and we’re expecting that to begin before the end of the year. PVD’s three oil plays in Africa are surrounded by neighbouring oil companies drilling and exploring. Any big discoveries offshore Morocco, Gabon or Madagascar could have a major impact on PVD – helping to confirm a wider resource it’s may have a piece of, or making it more attractive to investors and building buzz for its own plays. 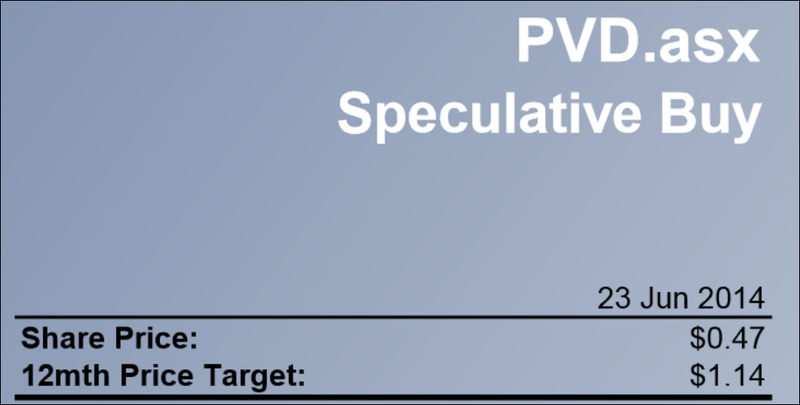 PVD shares still trade at relatively low levels and that’s left the door wide open for investors to get in at the ground level ahead of the pre-spud attention PVD will surely attract. The markets will only take more notice of PVD in the lead up to their first drilling event. We believe there are simply too many catalysts coming up for PVD to stay at these levels.